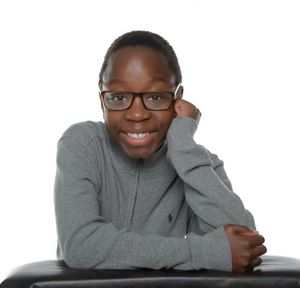 Meet Christopher, a rising 6th grader at St. Martha Parrish School. Christopher is passionate about performing arts and spends his free time singing, dancing and acting. He is excited to begin his role as a student council representative next year and looks forward to mentoring younger students. His mother, Antoinette, attributes her son’s high academic performance and overall happiness to the challenging curriculum and supportive services at his school. A: I love English langauge arts and writing. I love writing stories and using my imagination. I think that when I use my imagination I can accomplish anything I put my mind to. A: St. Martha Parrish School is an amazing school and offers the best education for Christopher. He simply enjoys the loving and helpful teachers who teach him several subjects, emphasizing religion. The school is a family where everyone fits in. Christopher always learns new things and loves being able to socialize with his friends, who he can relate to. It truly is a loving and safe place for a child to thrive.